What happens when those you trust most betray you? What happens when you need to rebuild afterwards? Graham has taken these questions and created a heartfelt novel surrounding them. She provided an intriguing look at the clash of cultures and the ensuing prejudices. Readers really got a feel for what it’s like to be caught up in the middle of it all and how a single misunderstanding can be so life altering. They also experience the differences in culture for themselves as Graham takes them from London to Marwan in a manner that makes you feel as if you’ve actually been there. On top of that, she weaves in the notion of a second chance romance and some hot & steamy chemistry to keep readers on their toes. I quite enjoyed getting to know the main characters in this novel. They were such complex individuals dealing with personal, interpersonal, and political difficulties. Jaul’s realization that he may not always be right clashes directly with his authority as king, making him seem just that little bit vulnerable and so very real. Chrissie’s need to do right by her children supersedes her own needs to the extent that you can’t help but fall a little bit in love with her. At the same time, her love for her husband, regardless of the past, is heartwarming. Graham has taken a story that transcends the ages and turned it into something magical. She has created characters that are believable yet beyond what most of us live in the everyday and shown how love really is worth the trouble. This is definitely a second chance romance well worth reading. Please note that I received a complimentary copy of this work in exchange for an honest review. This wasn't a bad book at all. I enjoyed the slightly different turn on the whole "married to a sheikh", what with them not realizing they were 'actually' married any more. Sheikh of course was a jerk for most of the book, but that's part of the charm. The twins were a nice touch to the story and I liked that Chrissie wasn't leaping to stay together with him. He'd hurt her (inadvertently, thanks to his even BIGGER jerk of a father). These two had good reason for their mistrust, and I did like seeing them work their way through it. Book provided by NetGalley in exchange for an honest review. A great story about the power of second chances. A short lived marriage falls apart due to misunderstandings and lies. 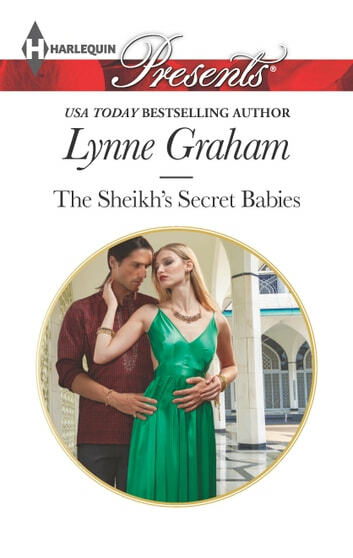 Lynne Graham brings it with The Sheikh’s Secret Babies. Jaul met and fell in love with Chrissie while in college. They marry but behind the scene forces manage to break them apart. Years after these two go their separate ways mistruths bring all the secrets to a head -including surprise babies. A great story about the power of second chances. Was given an ARC story for my honest opinion.